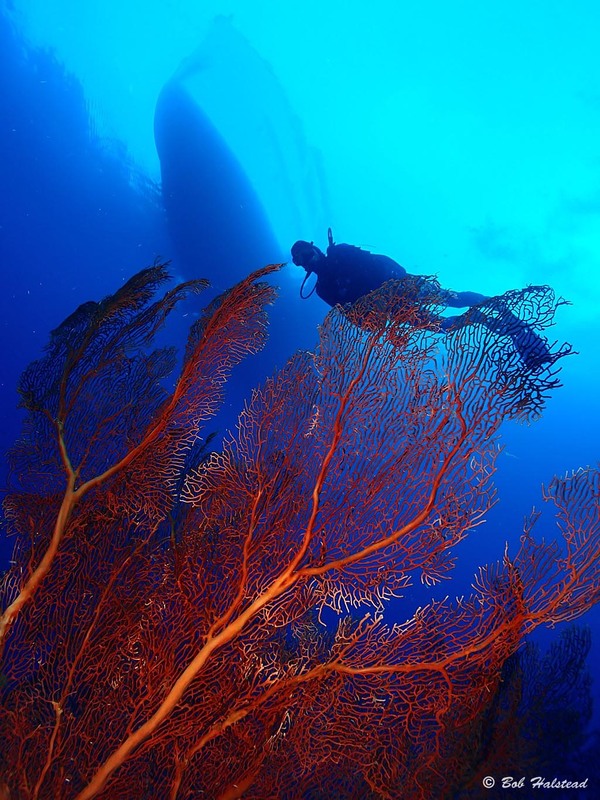 Eastern Fields is a submerged atoll rising from over 1,200m and covering some 400 square miles – most of this reef system is still unexplored. Being close to the eastern approaches of the Torres Strait gives this area the currents that attract the pelagic marine life. Consequently the visibility is typically very high, frequently in excess of 70m. 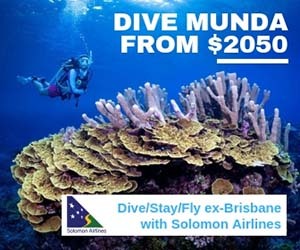 Eastern Fields is located 90 nautical miles south west of Port Moresby in the northern reaches of the Coral Sea. 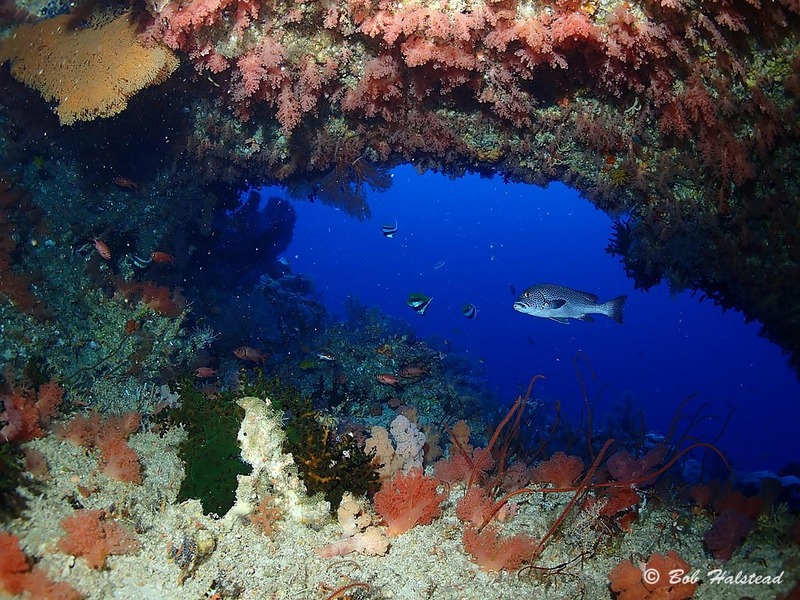 Carl’s Ultimate is a sausage shaped reef in a passage swept by tidal currents. Depth varies from 5m to 50m, with swim throughs at 30m. 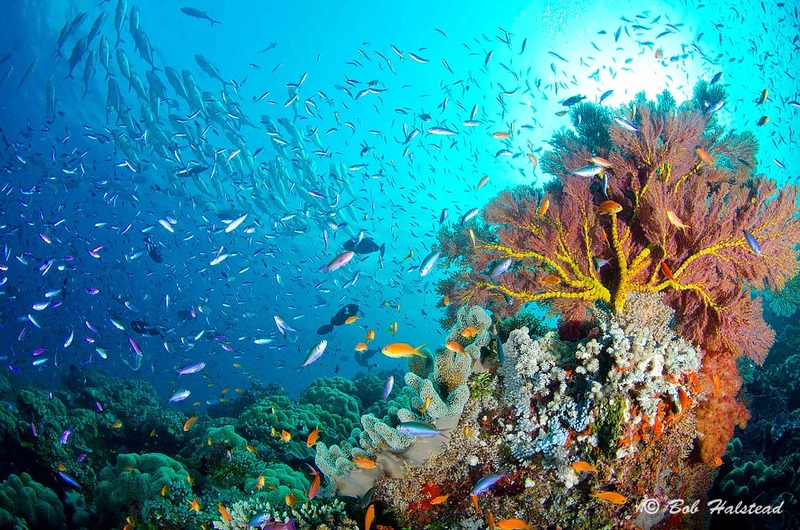 It features fantastic hard and soft corals, gorgonians and a multitude of fishes big and small, bright and beautiful. A haven for the underwater photographer. 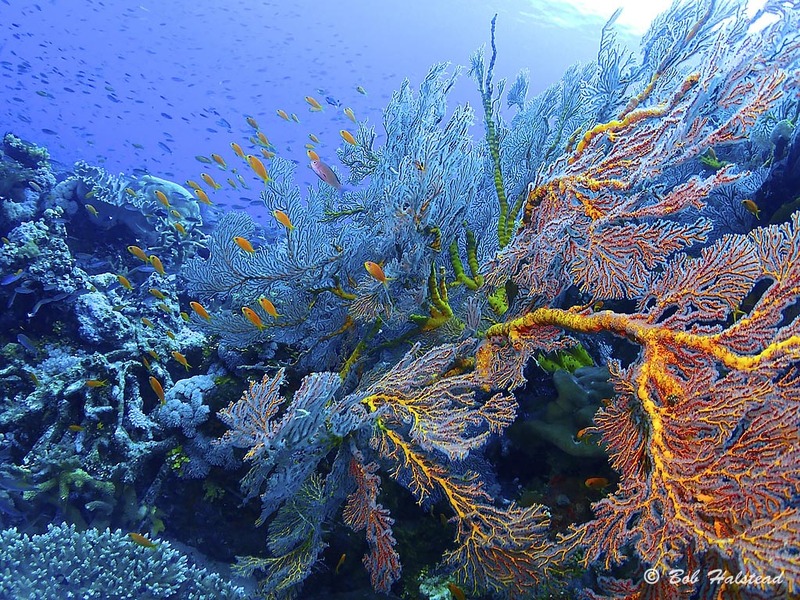 The sea fans at Carl’s Ultimate grow to spectacular sizes. A sweetlips hangs under a swim through at 30m. Where lined basslets also live. 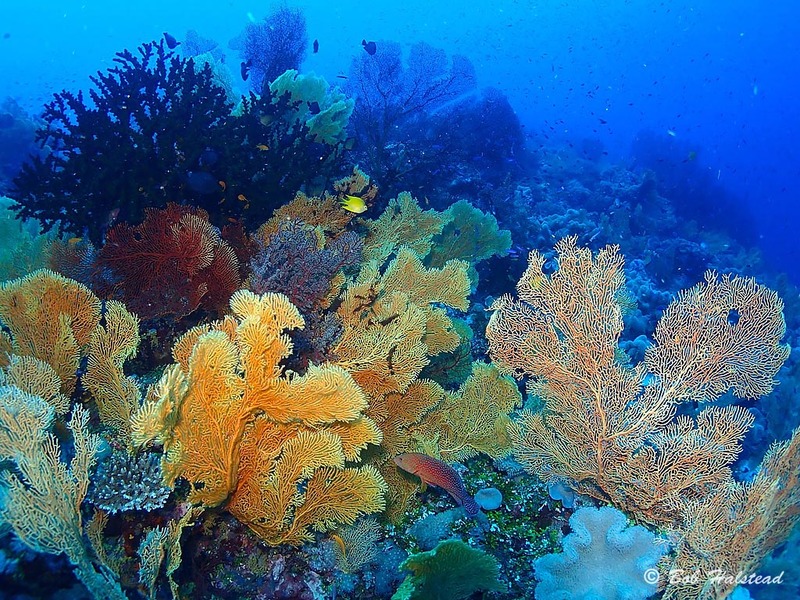 Schools of Jacks hover over the reef in the crystal clear waters. 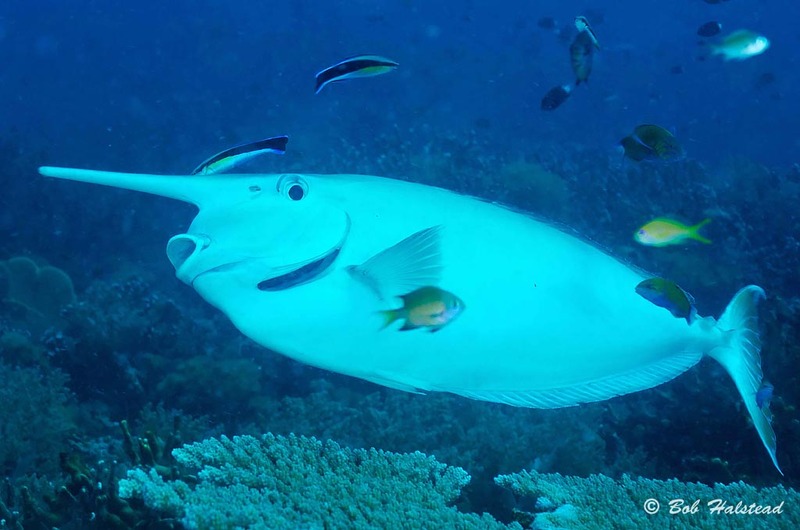 Whilst a Unicornfish gets a clean at one of the many cleaning stations. 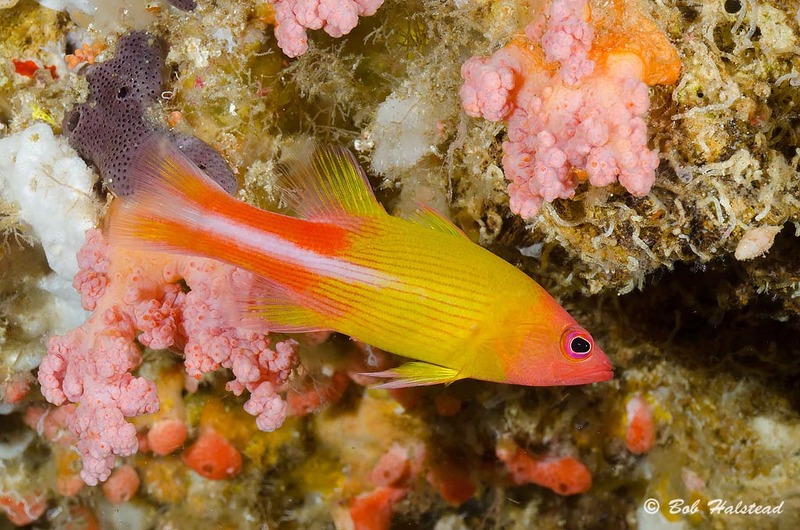 Carl’s Ultimate dive site has marine life so rich and diverse, that it is not uncommon for divers to do 12 dives and still ask for more. Thanks to Bob Halstead for the photos and description.